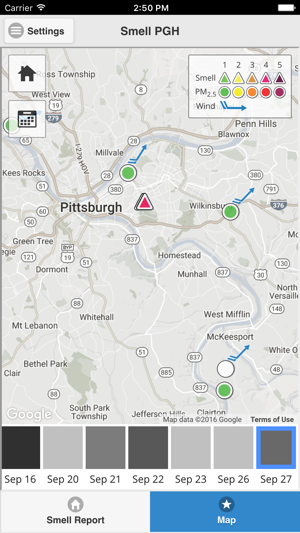 Smell Pittsburgh is a mobile phone app designed to engage Pittsburgh residents in tracking pollution odors across our region. 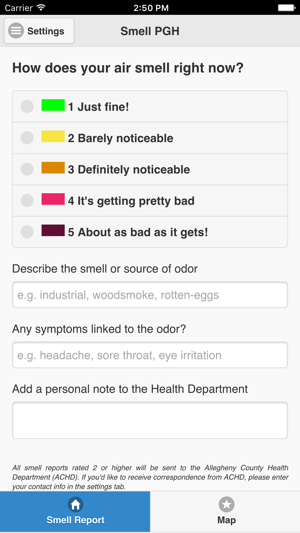 The app also includes a map-view showing smell reports submitted in the area on a given date. 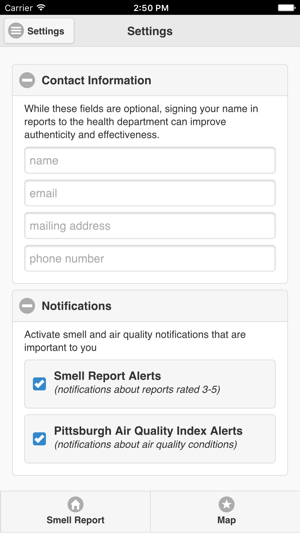 This allows residents to track where odors are frequently concentrated, and link those smell events to poor air quality in, or upwind from, those areas. I like having somewhere to vent, the app works well and it says that it sends the complaints to the government. Some people say it’s nice bc they can just not go outside if the pollution is bad. This isn’t helpful to me - with all the rainy, snowy, cloudy days, it’s hard enough to go outside. Also, ppl forget how drafty Pittsburgh houses are. If plants are emitting noxious chemicals in the air, I can’t merely just not go outside and shut my windows. If it’s 90 degrees with 100% humidity the only thing I have is a window air conditioner (as with many people). So what am I supposed to do? Sleep with a gas mask on when coal plants are breaking rules and getting away with it? Am I supposed to put plastic around the 5 fireplaces I have in the house with airflow pushing in the opposite direction? 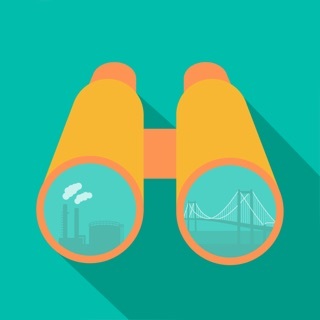 It’s nice how there some is tracking of this, but there needs to be a way to lower the emissions from the plants and use this as a political tool to get rid of he stink completely. I use this app everyday. I wake up and check the air quality in order to prepare for my day. I cunsult it frequently throughout the day, especially before riding my bike or doing outdoor sports. In Pittsburgh the air is not as bad as other cities but it can change much more rapidly than in other regions. This app has saved my partner and myself from forgetting our pollution masks more than a few times. 5 stars for this awesome app! Highly recommend this app for everyone to protect our health! It can't get any more simple! When you want to start tracking, you hit the button. Want to pause or stop. Hit those buttons! This is so much detail supplied about your routes and the accuracy is quite good. I've found it to consistently be no further than 10 ft off. Routes are automatically saved, which is nice. All can use this app. Thanks for developer.